Most intraday traders take the advantage of high leveraging/margin from brokers and sometimes lose in a big way. 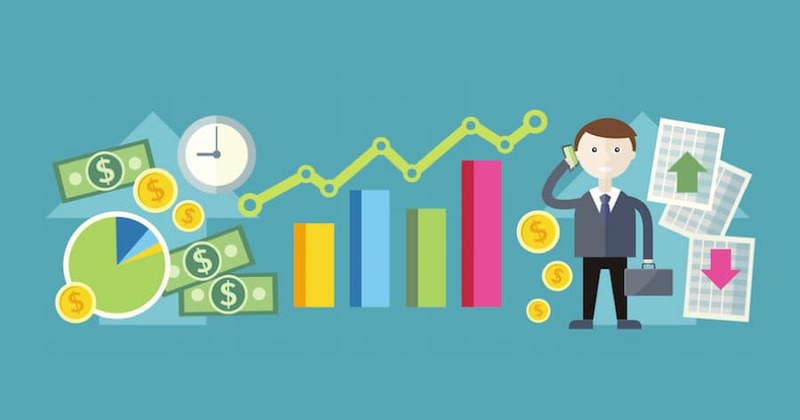 One of the way to make money in intraday trading is adhering to strict money management and making as much less trades as possible using best trading techniques or strategies. Stock market opens everyday at 09:15 and closes at 03:30 except Saturday, Sundays and some Public Holidays. Some Novice Traders try to make lot of money taking the advantages of margin available for day traders and at the end of the day lose their capital. There are lots of intraday trading strategies, formulas or techniques which are used by day traders to make money in NSE markets. We have tried to provide information on some techniques or strategies that a novice day trader can learn and use the same for his day trading. A pivot level is a technical indicator used to gauge a trend of the stock using the yesterday prices. It is a level which is an average of the high, low and closing prices from the previous trading day of the stock. If stock is trading above the pivot point it’s indicate ongoing bullish sentiment, while trading below the pivot point indicates bearish sentiment of the stock. Support and resistance levels are very important terms in technical analysis which should be known to each and every day trader. They are used to identify potential long and short sell opportunities for the stock for day trading. Support and Resistance are areas on the chart where price reverses temporarily or permanently. Hence it can be utilized to initiate buy and sell positions subsequently. Support Levels: Support is the psychological point where traders are willing to buy on the expectation that the stock price won’t drop more. .Support is the point where buying pressure is more than the selling pressure or you can say demand is greater than the supply. When stocks trades near support level it can be utilized as buying opportunity by keeping support as stop loss for your trade. Resistance Levels this is the psychological point where traders are willing to sell with the expectation that the stock price won’t increase more. It is also considered as ceiling because these price levels prevent the stock from moving the price upward. The RSI indicator is one of the most popular indicators used by traders in any market (stocks, forex, futures, and options). RSI Trading strategy is also an very important strategy that can be used by day trader to identify the buying or short selling levels and trade accordingly for profits in NSE markets. It is intended to chart the current and historical strength or weakness of a stock or market based on the closing prices of a recent trading period. The Relative Strength Index (RSI), developed by J. Welles Wilder, is a momentum oscillator that measures the speed and change of price movements in a particular stock. The RSI oscillates between zero and 100. Traditionally the RSI is considered overbought when above 70 and oversold when below 30. Signals can be generated by looking for divergences and failure swings. RSI can also be used to identify the general trend. How to trade using RSI indicator? The RSI is most typically used on a 14-day timeframe. RSI is considered overbought when above 70 and oversold when below 30. The traders should also note that during strong trends, the RSI may remain in overbought or oversold for extended periods. These traditional levels can also be adjusted if necessary to better fit the security. The standard settings 70/30 are for overbought and oversold parameters but Some traders like to use the 80/20 to determine when the market is overbought and oversold. For example, if a security is repeatedly reaching the overbought level of 70 you may want to adjust this level to 80. Although the RSI is an effective tool, it is always better to combine the RSI with other technical indicators to validate trading decisions. If an RSI value fall and is in the 0 to 30 region, the stock is considered to be oversold zone. The oversold stock is an indication that the falling market trend is likely to reverse in some time ie. an opportunity to buy the stock. So RSI between 0-30 is a bullish signal to buy at those levels. If the RSI value fall into the range of 70 – 100 is regarded as the stock is overbought. This signal suggests that the resistance level for the stock is very near or has been reached. The stock is now likely to fall from these levels. Traders should use this level as a short selling opportunity and short the stock to buy later. So a RSI range between 70-100 is a bearish signal an shorting opportunity for day trader. Today’s modern trading platforms are capable of performing the RSI calculation automatically, so it is not necessary for you to do this manually. So now traders can know the RSI in seconds and can place their buy or short selling trade accordingly. A Bollinger Band, developed by famous technical trader John Bollinger, is plotted two standard deviations away from a simple moving average. This is a very highly popular technical analysis technique. Many traders believe the closer the prices move to the upper band, the more overbought the market, and the closer the prices move to the lower band, the more oversold the market. In the strategy the price of the stock is bracketed by an upper and lower band along with a 21-day simple moving average. Because standard deviation is a measure of volatility, when the markets become more volatile, the bands widen; during less volatile periods, the bands contract. If the stock is trading at a price below the Bollinger Band lower line, there is potential for the price to increase in the future. Traders can choose to take a buy position. On the other hand, if the current stock price is over the upper line, traders can sell the share. The squeeze is the central concept of Bollinger Bands. When the bands come close together, constricting the moving average, it is called a squeeze. A squeeze signals a period of low volatility and is considered by traders to be a potential sign of future increased volatility and possible trading opportunities. Conversely, the wider apart the bands move, the more likely the chance of a decrease in volatility and the greater the possibility of exiting a trade. However, these conditions are not trading signals. The bands give no indication when the change may take place or which direction price could move. Approximately 90% of price action occurs between the two bands. Any breakout above or below the bands is a major event. The breakout is not a trading signal. The mistake most people make is believing that that price hitting or exceeding one of the bands is a signal to buy or sell. Breakouts provide no clue as to the direction and extent of future price movement. Traders should note that Bollinger Bands technique is designed to discover opportunities that give investors a higher probability of success in day trading. We have covered three most important indicators that will help day traders to trade in stock market. Traders are advised to use combinations of 2-3 trading strategies so that you can get better results. If you are a new trader we advised you to trade with small quantities, and later on you can trade in large quantities once you are getting profits. We also suggest you to take help of experience analyst like us, who will give you best share tips with complete follow-up. The world of share market is full of surprises, and therefore one should always be ready to face the unexpected. Nevertheless, with proper planning and discipline one can taste success in the long run. 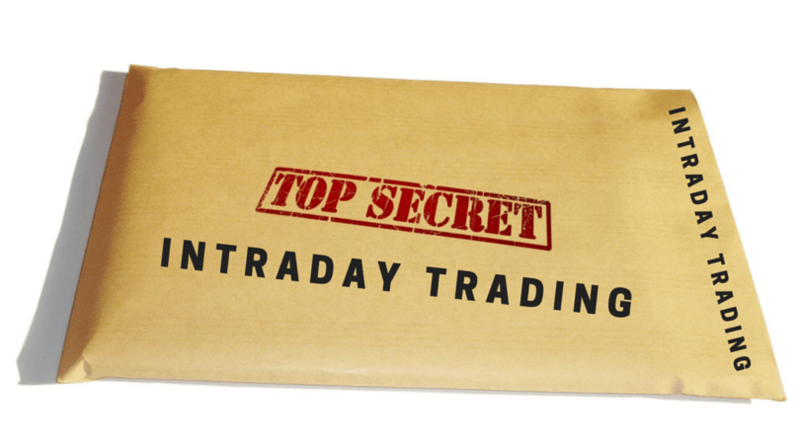 There are many formats available when it comes to trading, and Intraday Trading is one of them. Like the term suggests, it is a kind of trading when the shares are bought and sold on the same day itself. No wonder, the risks involved in this kind of trading is a little higher than the conventional ones. But, if you play by the rules, you can surely achieve success. There are some Intraday techniques that you can learn in order to improve your performance in the field of Intraday Trading. Some of them have been mentioned below. Seek professionals’ help: When you are not so skilled at something, it is better to seek help from the professionals and experts. In this regard, there are many institutes that offer training courses on Intraday Trading and other sorts of trading as well. Through such courses, you will be able to empower yourself with the knowledge and skills required for smart trading. Newbie should learn from the experts first, and then they should start investing. As a trader, your aim should be staying away from holding positions overnight. In order to enhance your chances of making a profit, it is better to trade rather than putting all your money on just couple of scrip. No matter how many numbers of scrip you have with you, if you see the price of the scrip breaking then it is better to take an exit. This will keep you away from incurring huge losses. It has been seen that safe stock traders often square off or sell their scrip when the price of the same is 50 percent of the position. This very technique can be used for lowering down the risks involved. After you have placed your money on the scrip, you should wait patiently to see if the price of the scrip is close to the 2nd target; in case it is not then you should square off during the time of closing. Whenever the market reaches at a high point, and is also expected to come down soon, in such scenarios you can consider making an investment. Usually, it is better to place your money on the stocks that feature a strong base, rather than risking your money on the undervalued ones. Coming up with a suitable formula is quite essential in the field of stock trading. Even through a stock analyst does not guarantee your success, but seek his/her help in this kind of trading can prove to be profitable in the long run. You should always opt for the companies that feature a good record of paying dividends, rather than opting for loss-making firms. Intraday trading is energizing, when you begin making expected benefit. In any case, there is nothing to ensure your benefit, as there are numerous difficulties in Intraday trading to be handled smartly to accomplish your normal result.